include all the 15 elements in the lanthanoid group of the periodic table plus scandium and yttrium. The table below highlights all rare earth elements in gold. 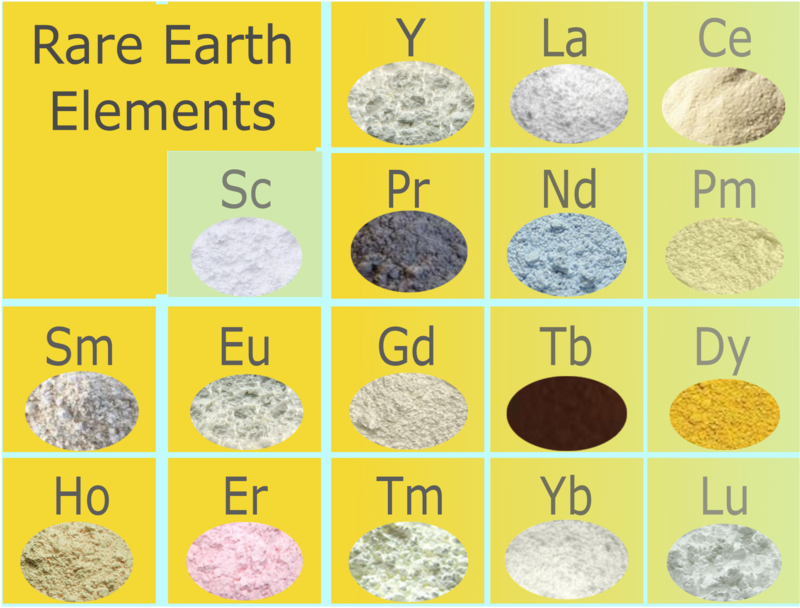 Rare earth elements were originally thought to be rare, however it is now known that many of them are actually fairly abundant, with cerium being the 25th most abundant material in the Earth’s crust. 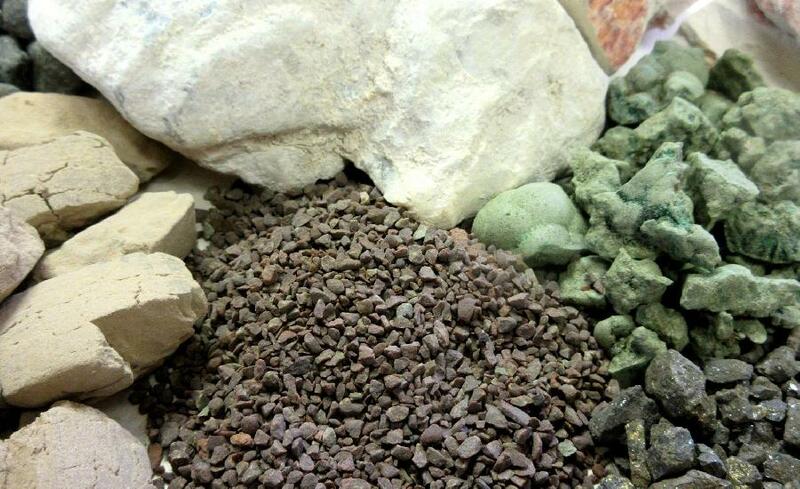 What makes rare earths harder to come by is their geochemical tendency to co-exist in very small amounts attached to common ores and elements. 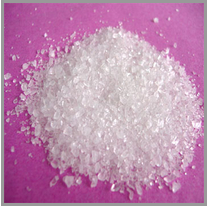 It is for this reason that they are generally produced as by-products from other mined ores. These elements became popular when it was discovered that they could help greatly reduce the size of those brick-sized old cell phones. Since then, they’ve been implemented in all sorts of new technology and have also become important in the creation of powerful rare earth magnets.